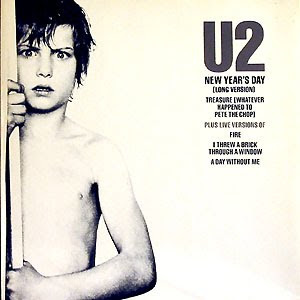 New Year's Day is arguably U2's first truly popular song reaching number ten on the UK charts. It was released on the War album, along with the classic U2 track, Sunday Bloody Sunday. The song is apparently the third most played song of U2's live performing career. The Edge famously (amongst the fandom) has to play the piano and then quickly switch to lead guitar during performances. Check out more lyrics from the album the Sunday Bloody Sunday came from, War which features songs Seconds, New Year's Day and Like A Song.